13 Amazing Natural and Unique Phenomenon !!! | Do You Know? 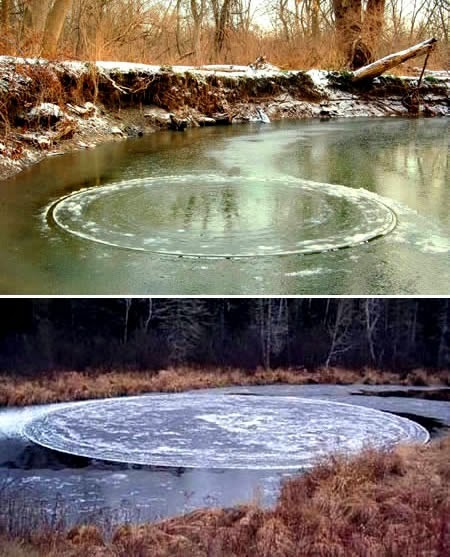 13 Amazing Natural and Unique Phenomenon !!! Sometimes, Nature shows what its real beauty is ?? And when she show it, there's nothing more beautiful than that beauty. 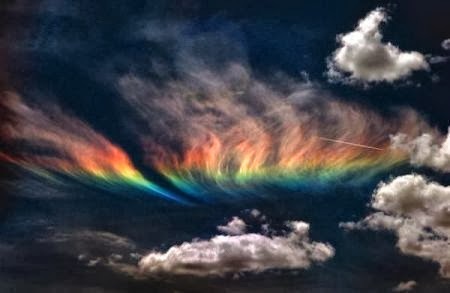 Here is the List of some Amazing natural phenomena that will make u believe that : its nature the more beautiful of all !!! 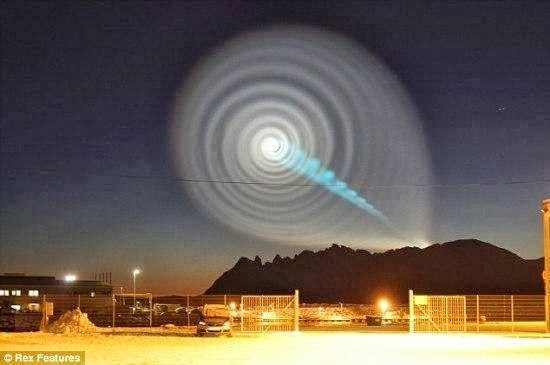 From Red Tides to Fire Whirls, there exists some of the strangest, most interesting natural phenomena on earth. But mind this, some of them are dangerous for humans too. So lets have a look on them and enjoy the natural beauty of mother nature !!! This looks like a hot vacation spot in Tron World. It looks like a jellyfish rave. It looks like somebody ate the future and threw it up on a beach. This is actually a bioluminescent bloom, and it's the result of a mass of naturally glowing plankton washing up all at once on a single tide. There is zero trickery going on here. If you were standing there in person, this is exactly what it would look like. 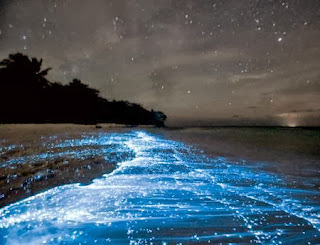 The motion of the ocean agitates the bioluminescent plankton as it brings them to shore, causing the waves to flare to sudden, brilliant life. Ah, the ancient slumbering giant whose frozen body forms Antarctica finally awakens, just as the prophecy foretold, and it seems he's uh ... he's got some steamy morning wood. 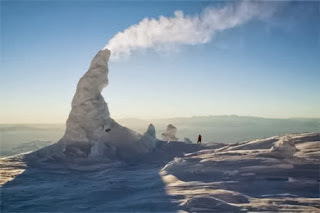 That's actually an ice fumarole. A normal fumarole is a vent that protrudes from the ground, allowing steam from volcanoes to escape out into the open. Of course, arctic volcanoes have fumaroles, too, but it's so cold that steam particles freeze upon contact with the outside air, building up and up until you eventually get massive, 60-foot-high "ice chimneys" inexplicably shooting hot air out into the arctic wasteland. It makes sense now that you know the explanation, but if you were an arctic explorer stumbling upon one of those things for the first time, you just know you'd assume "giant Eskimos cooking breakfast." A moonbow is a rainbow produced by light reflected off the surface of the moon (rather than from direct sunlight refracting off of moisture in the air. Moonbows are relatively faint, due to the smaller amount of light reflected from the surface of the moon. They are always in the opposite part of the sky from the moon. Because the light is usually too faint to excite the cone color receptors in human eyes, it is difficult for the human eye to discern colors in a moonbow. As a result, they often appear to be white. 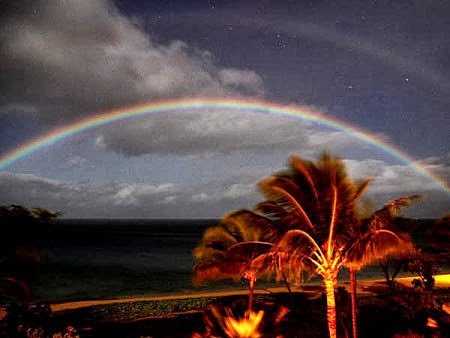 However, the colors in a moonbow do appear in long exposure photographs. High altitude cirrus clouds sometimes contain a large number of hexagonal ice crystals, and if these are struc by sunlight at just the right angle, with the sun elevated at least 58 degrees, the sky suddenly looks like somebody waved a giant magnet in front of an old-school computer monitor. Now think about describing that moment to anybody who wasn't right there with you: You're either getting tossed in the loony bin or hit up for some of those excellent drugs you're apparently on. Undoubtedly one of the most beautiful events to occur in our world, the Aurora Borealis, also known as the Northern Lights, has both astounded and amazed people since it was first discovered. This phenomenon ocurrs when the sun gives off high-energy charged particles (also called ions) that travel out into space at speeds of 300 to 1200 kilometres per second. A cloud of such particles is called a plasma. The stream of plasma coming from the sun is known as the solar wind. 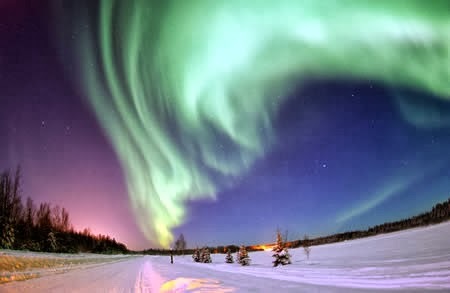 As the solar wind interacts with the edge of the earth’s magnetic field, some of the particles are trapped by it and they follow the lines of magnetic force down into the ionosphere, the section of the earth’s atmosphere that extends from about 60 to 600 kilometers above the earth’s surface. When the particles collide with the gases in the ionosphere they start to glow, producing the spectacle that we know as the auroras, northern and southern. Also known as mammatocumulus, meaning "bumpy clouds", they are a cellular pattern of pouches hanging underneath the base of a cloud. 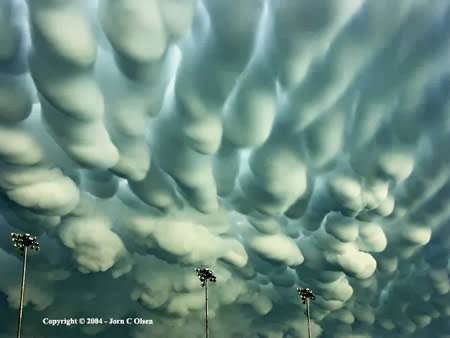 Composed primarily of ice, Mammatus Clouds can extend for hundreds of miles in each direction, while individual formations can remain visibly static for ten to fifteen minutes at a time. True to their ominous appearance, mammatus clouds are often harbingers of a coming storm or other extreme weather system. 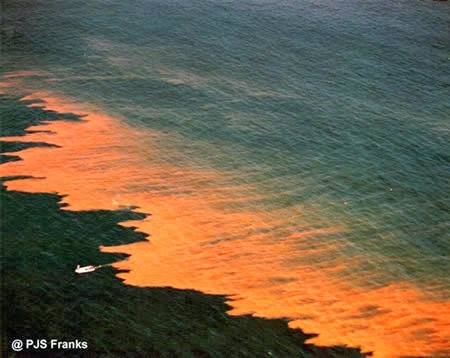 More correctly known as an algal bloom, the so-called Red tide is a natural event in which estuarine, marine, or fresh water algae accumulate rapidly in the water column and can convert entire areas of an ocean or beach into a blood red color. This phenomena is caused by high levels of phytoplankton accumulating to form dense, visible clouds near the surface of the water. While some of these can be relatively harmless, others can be harbingers of deadly toxins that cause the deaths of fish, birds and marine mammals. In some cases, even humans have been harmed by red tides though no human exposure are known to have been fatal. While they can be fatal, the constituent phytoplankton in ride tides are not harmful in small numbers. 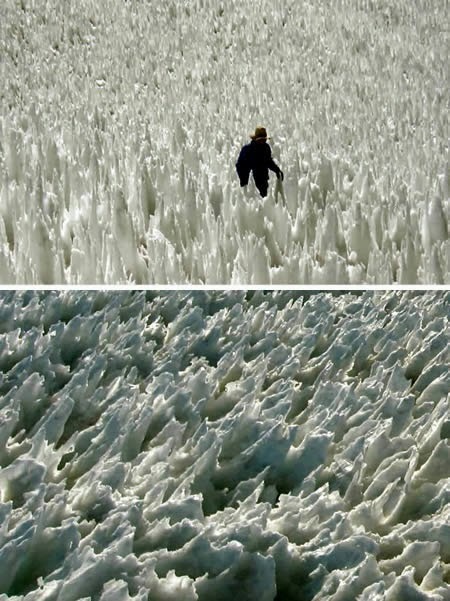 These amazing ice spikes, generally known as penitentes due to their resemblance to processions of white-hooded monks, can be found on mountain glaciers and vary in size dramatically: from a few centimetres to 5 metres in height. Initially, the sun’s rays cause random dimples on the surface of the snow. Once such a dimple is formed, sunlight can be reflected within the dimple, increasing the localized sublimation. As this accelerates, deep troughs are formed, leaving peaks of ice standing between them. 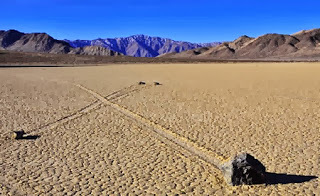 The mysterious moving stones of the packed-mud desert of Death Valley have been a center of scientific controversy for decades. Rocks weighing up to hundreds of pounds have been known to move up to hundreds of yards at a time. Some scientists have proposed that a combination of strong winds and surface ice account for these movements. However, this theory does not explain evidence of different rocks starting side by side and moving at different rates and in disparate directions. Moreover, the physics calculations do not fully support this theory as wind speeds of hundreds of miles per hour would be needed to move some of the stones. Supercell is the name given to a continuously rotating updraft deep within a severe thunderstorm (a mesocyclone) and looks downright scary. They are usually isolated storms, which can last for hours, and sometimes can split in two, with one storm going to the left of the wind and one to the right. They can spout huge amounts of hail, rain and wind and are often responsible for tornados, though they can also occur without tornados. 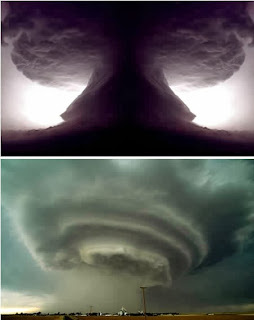 Supercells are often carriers of giant hailstones and although they can occur anywhere in the world they’re most frequent in the Great Plains of the US. 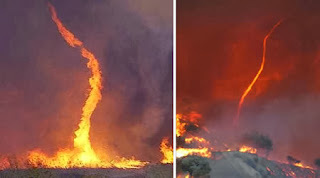 A fire whirl, also known as fire devil or fire tornado, is a rare phenomenon in which a fire, under certain conditions --depending on air temperature and currents--, acquires a vertical vorticity and forms a whirl, or a tornado-like effect of a vertically oriented rotating column of air. Fire whirls often occur during bush fires. Vertical rotating columns of fire form when the air currents and temperature are just right, creating a tornado-like effect. They can be as high as 30 to 200 ft tall and up to 10 ft wide but only last a few minutes, although some can last for longer if the winds are strong.